I am very sad about the murder of twenty-one Christians in Libya at the hands of ISIS; but not just sad. I am also angry. I am angry because no one in authority really seems to have woken up to the situation we are in. There is nothing random about ISIS; the horrors wreaked by ISIS are not the work of a few isolated individuals, but rather something that we should expect given what we ought to know about the ISIS ideology. The latest ISIS video, which I have not seen, and will not be seeing, contains the threat (and this is not a new threat) to conquer Rome. Should this be taken seriously? Yes, it should. By this I do not mean that Rome is in any immediate danger; but what I do mean is that ISIS is a threat to us all – the only reason why we are alive is because ISIS does not have the ability to kill us. But if they did, they would. Burying our heads in the sand is not really a good way of dealing with this threat. For the best analysis of what ISIS believes, what it stands for, and what its methods and aims are, one should read this account by Graeme Wood. It is quite long, but then it would have to be. 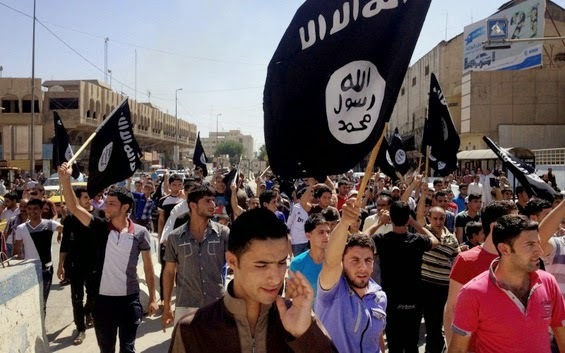 Sound bites and crafted platitudes do not do ISIS justice. Wood reveals ISIS to be a group that wishes to go back to basics, that is to recreate the historical circumstances that surrounded Muhammad and his early companions: this is of course a deeply problematic project in that the historical setting of Muhammad is beyond recovery, and there is very little that we can know for sure about that era, though that is not stopping ISIS, who like all fundamentalists are short-circuiting any true historical hermeneutic. In addition, besides looking back to a mythical past, ISIS looks forward to a mythical future, the Last Days, which its actions aim to hasten. In addition to this excellent analysis, Wood has some pretty good advice about how we should deal with ISIS right now. Another commentator who is much to be commended is Mark Steyn, whose analysis of the Copenhagen outrages (remember them? I guess readers of this paper may do, but most will have forgotten by now) can be found here. Steyn is vox clamantis in deserto these days, but I would love someone to point out where his analysis is wrong. Steyn is adamant that this is a religious problem, and given that religious problems can only have religious solutions, then where better to go to for advice than a wise Jesuit? Step forward Fr James Schall, SJ. In this excellent article he pinpoints two major doctrinal positions taken by Muslims which are the necessary preconditions to the horrors of ISIS. The first is the refusal to submit the text of the Koran to any kind of critical analysis. This is breathtaking; it is such because not only do Muslims refuse to see their Holy Book as subject to any kind of scholarly scrutiny, they are also content to live with the contradictions that this involves; moreover, quite a few Western and non-Muslim writers have colluded with this silence. The second is connected to the first, and sees God as pure will. For Muslims God is the Supreme Will, and can will whatever he wants. He can make murder good, simply by commanding it. His will is what counts, however arbitrary it may be, and is not bound by any other law, either the laws of reason or morality. This idea was once current in Christianity, and may still be so in certain marginal communities, but Catholicism believes God is Supreme Love; he cannot ever command us to do anything evil, and it is nonsense to think of anything being good simply through the will of the legislator rather than because it is good in itself. Does this make God not all-powerful? Some medieval Franciscans found this a problem. I don’t. But let us return to those murdered Copts in Libya. For ISIS and its ideologues, facts do not matter. Facts are malleable. The facts are what Allah wills, and Allah regularly changes his mind. The world counts for nothing, human lives count for nothing, only Allah matters. The murdered Copts are victims of a theological and intellectual caricature. We need to wake up to this. There is no excuse for us, indeed there has been no excuse since September 11 2001. These are not random events. They are planned, they are inspired by an ideology that we need to root out and overcome.